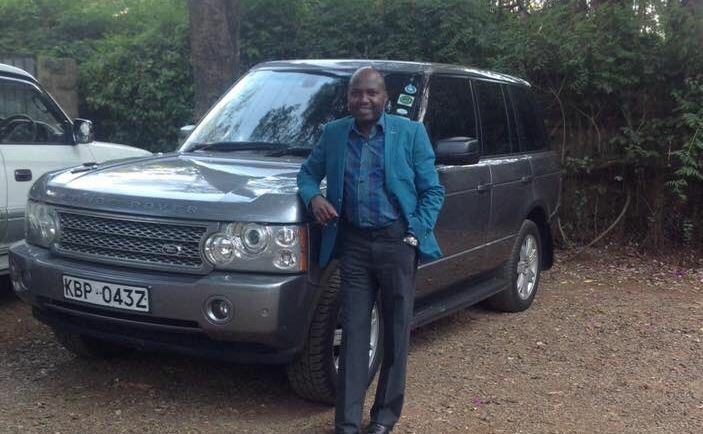 Flamboyant lawyer Donald Kipkorir on a few weeks ago came out to slam NTV’s Olive Burrows claiming that the new news anchor has also bleached after joining TV. Taking to Twitter, Kipkorir shared a tweet saying that Kenyan TV might be forcing anchors to turn their skin since almost everyone of them has bleached. 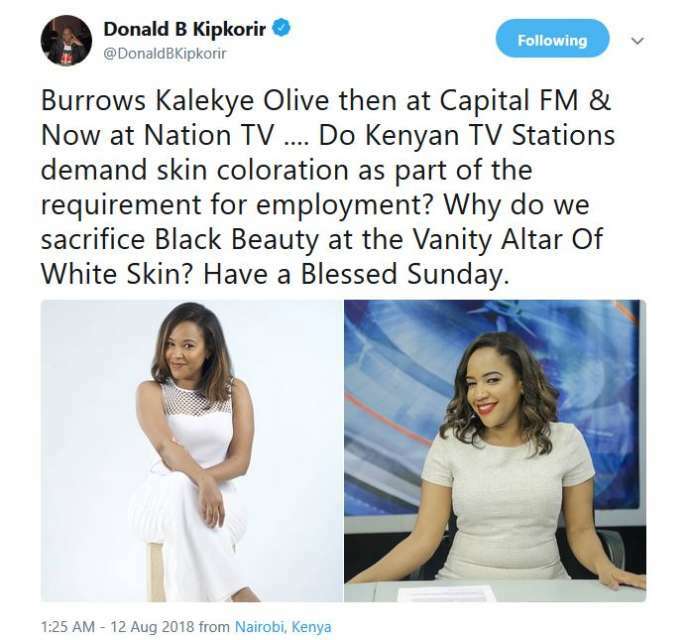 “Burrows Kalekye Olive then at Capital FM & Now at Nation TV… Do Kenyan TV Stations demand skin colouration as part of the requirement for employment? Why do we sacrifice Black Beauty at the Vanity Altar Of White Skin? Have a Blessed Sunday.” He tweeted. Former KTN news anchor Beatrice Marshall has shot down his argument and defended Burrows insisting that she has not bleached. 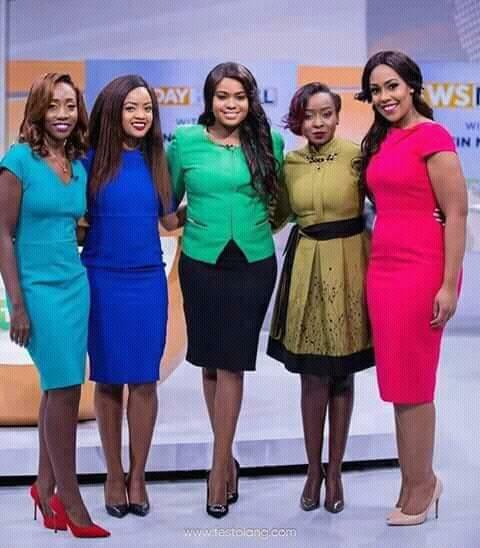 Taking to Twitter, the news anchor gave example of people such as Lillian Muli, Yvonne Okwara and Anne Kiguta saying that they haven’t bleached. “#Kenyan TV also has @AnneKiguta @lillian_muli @YvonneOkwara and many others with beautiful dark skin. And they are amazing at what they do. And TV lights make one’s skin look a shade lighter.” Read Beatrice’s tweet. Her example, however, might not be correct. All the ladies she has mentioned have been accused of bleaching before. A photo that was trending recently even show that they might have all bleached.